MB-100/MB-100S Data Buoy Overview - NexSens Technology Inc. 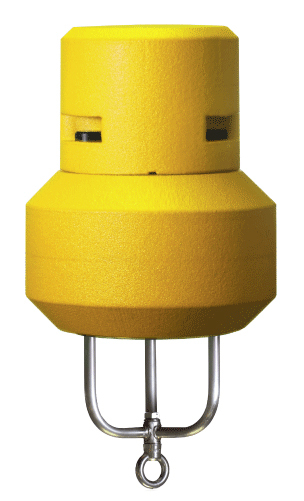 The MB-100 and MB-100S data buoys are designed for years of service in both surface and sub-surface applications. The data buoy construction includes an inner core of cross-linked polyethylene foam, heavy polymer skin and a stainless steel frame. All sensor connections are made below the surface with waterproof connectors. A wireless transmitter can be positioned above the water, while still hidden and protected underneath the buoy hood. The 100 lb. 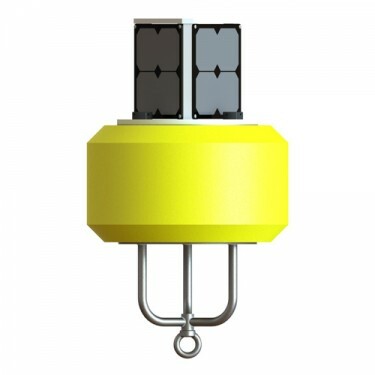 buoyancy data buoys are designed to accommodate NexSens SDL500 submersible data loggers. A fully loaded system (with data logger and batteries) weighs just over 30 lbs. and is easily deployed by one person from any vessel. Simply attach a single-point mooring assembly and throw it overboard. The buoy will right itself and data logging can begin immediately. If equipped with an optional communication package, data can be transmitted via radio, cellular or Iridium satellite telemetry.